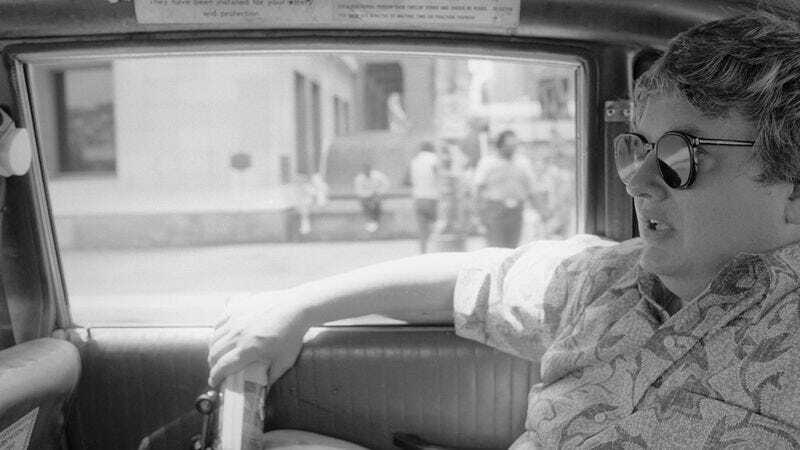 In the half century he spent writing about movies for the Chicago Sun-Times, Roger Ebert gave the field of film criticism some of its most useful principles—arguing, for example, that a picture’s value lay in how, not what, it’s about, and introducing the Law Of Economy Of Characters, an amusing tool for dissecting transparent big-screen mysteries. But his most profound insight into the medium may have been his belief that the movies, at their very best, operate as a “machine that generates empathy,” helping viewers understand people of all different cultures, creeds, and backgrounds. Life Itself, an affectionate documentary profile of the late writer, begins with a sound bite of its subject expressing this very philosophy aloud, years before cancer robbed him of his ability to speak. To lead with this clip is shrewd, as it puts the emphasis immediately on Ebert’s ideas and restores his stolen voice through the art form he loved. But it also sets a benchmark Life Itself can and does meet: Few will get through the film not feeling as though they know and understand the author a little better, a little more deeply, a little more intimately. No two-hour documentary can comprehensively cover the legacy of the world’s most famous film critic, a Pulitzer Prize winner who made careers and helped shape the public discourse about cinema. But Life Itself is a noble attempt, funny and touching, with plenty of insightful reflections on this giant of the industry. It helps that the movie has been directed—nay, orchestrated—by Steve James, the Chicago native and non-fiction figurehead whose Hoop Dreams remains a gold standard in condensing years and years of footage into a meaningful and manageable whole. Ebert was instrumental in launching James’ career—he was one of Hoop Dreams’ first and most fervent champions, later declaring it the greatest film of the 1990s—so it’s no surprise that Life Itself plays as equal parts tribute and biography. Not that its vision of the artist is exclusively flattering: James paints Ebert as a man capable of great wisdom and humanity, but also of hubris and petulance and pigheaded stubbornness. The film is honest, not hagiographic. Had he lived to see the finished product, Ebert likely would have approved. Life Itself borrows its title and many of its best anecdotes from its subject’s 2011 memoir, using the book as a guide through his personal and professional experiences. There are passages about his childhood in Urbana, Illinois, his days as a wunderkind college journalist, his battle with alcoholism, and his leap from the printed page to public television. (Thumbs, and their value as a critical barometer, is a topic of some debate.) A master of organization, James gives the film’s sprawling “narrative” shape, leaping smartly among subjects and decades. He can’t, however, quite match the source material; on the page, Life Itself is not just more exhaustive, but also filtered entirely through the author’s rich personality. (Those wanting the full Ebert story would almost certainly be better off reading it.) But James compensates by drawing on a vast roster of talking heads—the people whose lives Ebert touched, either through direct contact or through his weekly, written musings. The film is at once a eulogy, a history of modern entertainment journalism, a portrait of 1970s Chicago, and an exploration of the complicated relationship between artists and their critics—the latter epitomized by heartfelt interviews with some of the directors whose profiles Ebert boosted, including Martin Scorsese, Werner Herzog, and Errol Morris. Perhaps most touchingly, Life Itself also functions as a love story—or two love stories, really. Ebert’s relationship with Chaz, his wife of two decades, resonates through the film, providing it an intense emotional framework. By all accounts, their romance was one for the ages, but it was by no means the only meaningful, passionate bond the man forged. James presents Ebert’s contentious partnership with Gene Siskel, his At The Movies co-host and professional rival, as a very different kind of love story. As the film notes, their movie-review show doubled as a sitcom, and James unearths hilarious footage of the two trading insults between takes. But he also digs deeper into their brotherly antagonism, attempting to make sense of the complex relationship they shared. When Ebert notes, in a line recited from his memoir, that he felt closer to Siskel at times than any man he had ever met, the movie gains the fleeting power of a rich, cathartic character study. Where Life Itself truly distinguishes itself from its namesake, though, is in the most recent material, filmed during the final months of Ebert’s life. James began shooting the movie shortly after the critic entered the hospital for what would prove to be the second to last time; granted almost complete access to the room, the director captures what Ebert describes as the “third act” of his life—the struggles to regain mobility, the application of a feeding tube, and the on-screen admission that he’s prepared for death. One would have to be a stone to sit stone-faced through these elegiac, confessional moments. Yet for dyed-in-the-wool Ebert fans—those weaned on his thoughtful populism and impassioned advocacy—the august-years footage may be no more affecting than the carefully selected samples of his work, such as an eloquent (and thematically relevant) excerpt from his Tree Of Life review. Therein lies the happy ending of Ebert’s movie, the uplifting denouement of his third act: The man lives through his words, writ large across the web and accessible at the click of a mouse.